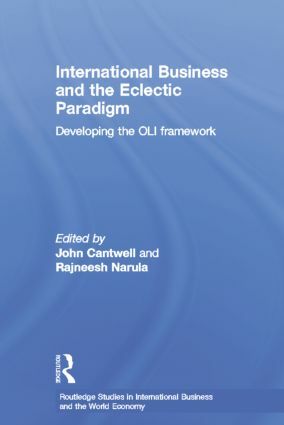 The eclectic paradigm has arguably become the dominant theoretical basis in the study of FDI, multinational corporations and internationalisation over the last two decades. The contributions to this volume evaluate the eclectic paradigm in the global economy and its validity as a theoretical basis to understand developments such as economic globalization and the subsequent growth of global and alliance capitalism. John Cantwell is Professor of International Business at Rutgers University, USA (from 2002), while on leave of absence as Professor of International Economics at the University of Reading, UK. His main research areas are the analysis of corporate technological change and international business. He is the author of Technological Innovation and Multinational Corporations (1989). Rajneesh Narula is Professor at the Department of International Economics and Management (INT) at the Copenhagen Business School, and at the Centre for Technology, Innovation and Culture (TIK), University of Oslo.